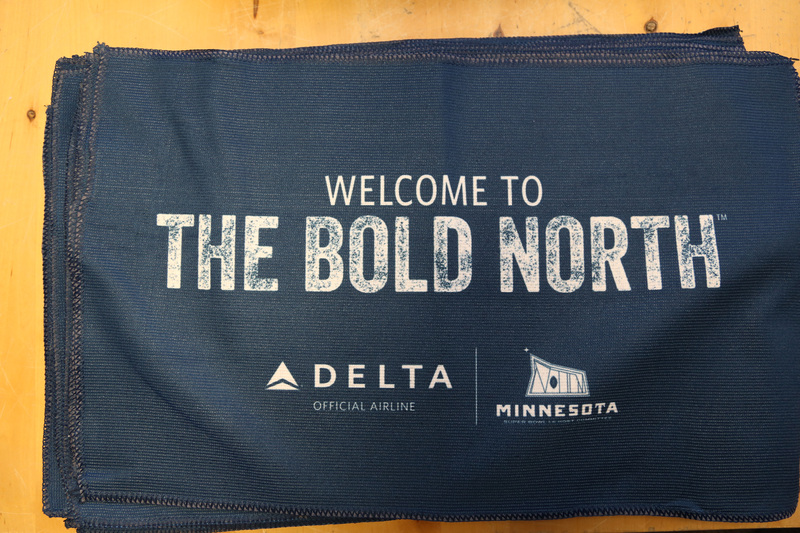 With New England Patriots and Philadelphia Eagles fans arriving in Minneapolis for Sunday's big game, Delta employees were ready to welcome them to "The Bold North." 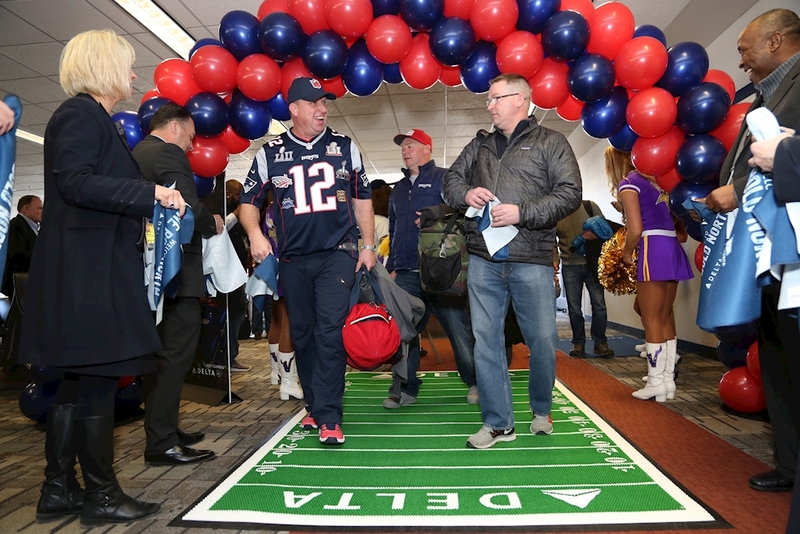 Customers walked off the jetway under a balloon arch, greeted by Delta people who handed them team rally towels and Delta-branded swag. Customers took photos with cheerleaders for the mascot and cheerleaders for the hometown Minnesota Vikings and former NFL star Daunte Culpepper.